Restricting youth access, mitigating criminal activity, protecting public health and safety, and ensuring a safe supply chain will all be critical for the success of the legalized cannabis sector. “Given the complexity of legalizing cannabis, the policy response must be multi-faceted, collaborative and flexible,” said Kathleen McNutt, executive director of the Johnson Shoyama Graduate School of Public Policy (JSGS). The paper, written by JSGS researchers at the U of S and the U of R entitled, Legalizing & Regulating Cannabis in Saskatchewan sets out the complexity of cannabis legalization in Canada and details the implications within the provincial policy context. The paper also outlines 40 policy and programming recommendations that will provide Saskatchewan with a significant opportunity to achieve the federal objectives, while also maximizing economic opportunities and capitalizing on innovation. 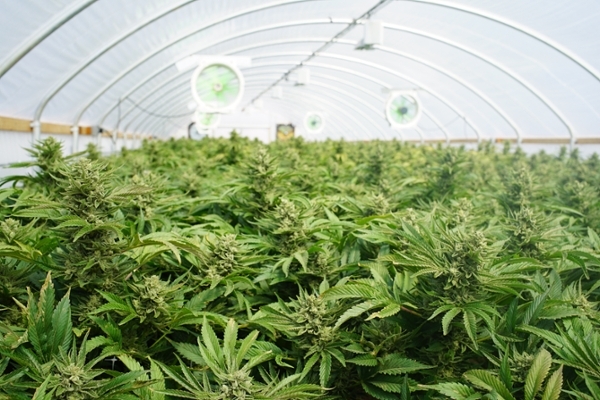 “A socially responsible entrepreneurial ecosystem that supports innovation and economic development will situate Saskatchewan as a leader in the sector,” said Jerome Konecsni, JSGS executive-in-residence at the U of S.
The Government of Canada’s decision to legalize cannabis by July 2018 is driven by three core objectives: (1) restrict youth access; (2) mitigate the illicit market through serious criminal penalties; and (3) protect public health and safety. While some provinces and professional associates have requested more time to prepare for legalization, the federal government has argued that any delays would mean continued access for youth and ongoing profits to illicit market participants. In regards to distribution and retail, the federal government is allowing provinces to regulate how cannabis will be sold within each jurisdiction. That being said, licensed cannabis producers are moving cannabis sales online to widen their reach, regardless of jurisdictions. Choosing not to regulate distribution and retail within the province, means that all economic activity and profit associated with distribution and retail will remain outside the province, thereby limiting the economics benefits for the people of the province. In the study on the implications of recreational adult-usage cannabis in Saskatchewan conducted by JSGS, researchers found both opportunities and challenges to legalization. Looking at Colorado, Oregon, Washington and Uruguay, researchers found that estimated use has been stable or has dropped, youth consumption remained stable or declined in some American states, and all had experienced positive economic impacts. Conversely, these jurisdictions also had increases in impaired driving and accidental ingestions, primarily by children. Click here for the e-paper and a policy brief summary were co-authored by McNutt, Konecsni, Childs, Hartner, Cynthia Bojkovsky and Derrick Callan. Refer to the attached appendices for all 40 recommendations detailed in the full report. Recommendation 1: Design a large-scale, multi-pronged public information campaign to educate citizens about health impacts, changes to the law, and impairing driving. Recommendation 2: Design a large-scale preventative public information campaign for youth and parents. Recommendation 3: Develop an educational campaign about the dangers of cannabis use during pregnancy and breastfeeding. Recommendation 4: Design a public information campaign on misuse and treatment. Recommendation 5: The minimum legal age to purchase and consume cannabis in Saskatchewan is set at the same level as the minimum legal age to purchase and consume alcohol. Recommendation 6: Put in place strong disincentive (penalties, fine) for licensed retail outlets selling to minors. Recommendation 7: Saskatchewan Government Insurance (SGI) creates an information campaign on impaired driving designed specifically for young persons under the age of 24. Recommendation 8: Recommendation 8: Justice Canada funds a national information campaign of the new laws prohibiting selling/providing cannabis to minors. Recommendation 9: Seek adequate funding from the Government of Canada to provide money for police training and education. Recommendation 11: Reinvest a percentage of all taxation in policing resources. Recommendation 12: Design and implement a health promotion framework for cannabis use. Recommendation 13: Use revenues from cannabis to fund programs for prevention, education and treatment. Recommendation 14: Design and implement treatment programming to address misuse. Recommendation 15: Limit public consumption by disallowing smoking and vaping in locations where smoking bans are in effect and restricting social consumption to licensed premises. Recommendation 16: Regulate packaging to ensure potency and quality is clearly labelled for consumers. Recommendation 17: Align market forces and regulation through a limited number of licensed private retailers to ensure the retail market for cannabis is responsive to market conditions and consumer preferences, effectively competing with the illicit market. Recommendation 18: Establish a single point of entry for bulk cannabis, seeds, and clones coming into the province through a private single distributor that tests, packages, and tracks all products sold in the province, ensuring only safe, cost-effective, and legal cannabis reaches consumers and that there is a level playing field for both small and large producers. Recommendation 19: License and regulate the distributor through a central cannabis advisory board that coordinates the implementation of policies and programs, centralizes expertise, facilitates medical and policy related research, disseminates information and transfers knowledge, and supports innovation and economic growth in the cannabis industry. Recommendation 20: Work with the distributor through the advisory board to utilize the single distributor's infrastructure to reduce the barriers to entry of Saskatchewan firms in becoming licensed cannabis producers, and facilitate innovation in new product development in the Saskatchewan economy. Recommendation 21: Work with the distributor through the advisory board to facilitate opportunities to import cannabis to relieve shortages and develop a channel for Saskatchewan producers to export cannabis. Recommendation 22: Support the Federal regulation allowing home cultivation of cannabis within certain limits. Recommendation 23: Taxation levels on legalized adult-usage cannabis must ensure that the legal market is competitive with the illicit market. Recommendation 24: Allow the market to set the pricing to ensure the supply of cannabis starts to balance with demand. Recommendation 25: Establish a distributor model that includes a mandate to source and test all cannabis entering the Saskatchewan market to reduce barriers to Saskatchewan producers entering the market. Recommendation 26: License a limited number of private cannabis retailers to enhance the links between consumer demand and production while limiting outlet density. Recommendation 27: Establish a multi-ministry team to coordinate efforts and evaluate an industry-wide branding effort. Recommendation 28: Innovation Saskatchewan and the Saskatchewan Ministry of Agriculture offer support for market and product development through existing programming and facilitation. Recommendation 29: Industry partners establish a provincial industry association. Recommendation 30: Deregulate the hemp market and remove the current red tape. Recommendation 31: The Ministry responsible for monitoring Federal regulatory development provide regular updates to other Ministries and agencies. Recommendation 32: Do not distribute cannabis in the same retail outlets as tobacco and alcohol. Recommendation 33: Municipalities develop zoning bylaws to limit the density of licensed retail outlets and their proximity of retail outlets to schools and youth centers. Recommendation 34: Implement a single licence retail outlet system for both medical and adult-usage cannabis. Recommendation 35: Set industry standards for packaging that allow for adult-usage branding. Recommendation 36: Develop a merit-based model of licensing that rewards meeting security and quality expectations or standards. Recommendation 37: Grant a limited number of licenses to private retailers to minimize the illicit market. Recommendation 38: The mandate of the Saskatchewan Liquor and Gaming Authority should be expanded to include cannabis regulation. Recommendation 39: Prior to legalization engage in careful planning for home grown cultivation within the defined limits. Recommendation 40: Invest in data collection and further research to accurately monitor the short-, mid-, and long-term outcomes of the legalization of adult-use cannabis.